BECOME AN OWSI- INSTRUCTOR DEVELOPMENT COURSE Are You Looking For Something Extraordinary? Kat has been working as a PADI Instructor since 2004. A 36 year old mother of 3 and owner of Academy of Scuba, she has followed her passion for diving and changing peoples lives over the years. 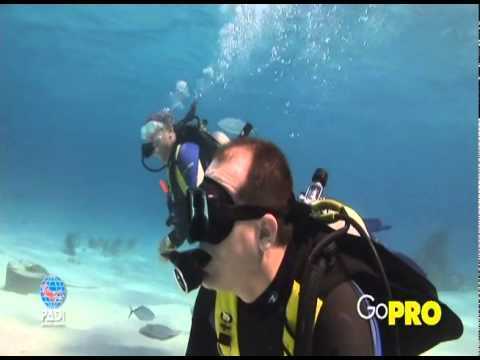 “To me teaching people to scuba dive has always been something special and a great privilege. I take great pride in being able to share my passion with others and provide them with opportunities for life changing experiences by introducing them to the underwater world. I have had personally countless experiences of awe, beauty and amazement underwater. The heart warming feeling of introducing and sharing these experiences with other people is something only a passionate Dive Instructor can relate to. Over many years of teaching open water, advanced courses and specialties, I commenced teaching Divemaster courses. This gave me a new aspect to dive Instruction. Now I had an opportunity to teach others to start passing on their own passion for scuba diving and leading. I thoroughly enjoyed each and every course and as a result realised the next step was professional training. Completing my Staff instructors course I could now teach Divemasters to become Assistant Instructors and also help them prepare for the PADI Instructors exam . This was a new level of job satisfaction for me. The PADI Instructor Development Course crewpak includes all the materials needed to prepare for the Instructor Development Course. The 23-item pack is included in your course fees. All courses have fees that must be paid directly to PADI. These range from $140- $220. All courses and the PADI IE requires a current diving medical.